Everywhere you look in Marrakech there is colour. The spice sellers stand out with their range of flowers, herbs and spices all on display. One that seems surreal is the potpourri. Every colour of the rainbow, dried and shrivelled but with a weird attraction of their own. The flowers appear in late spring and are harvested and dried before going on sale as home decorations. 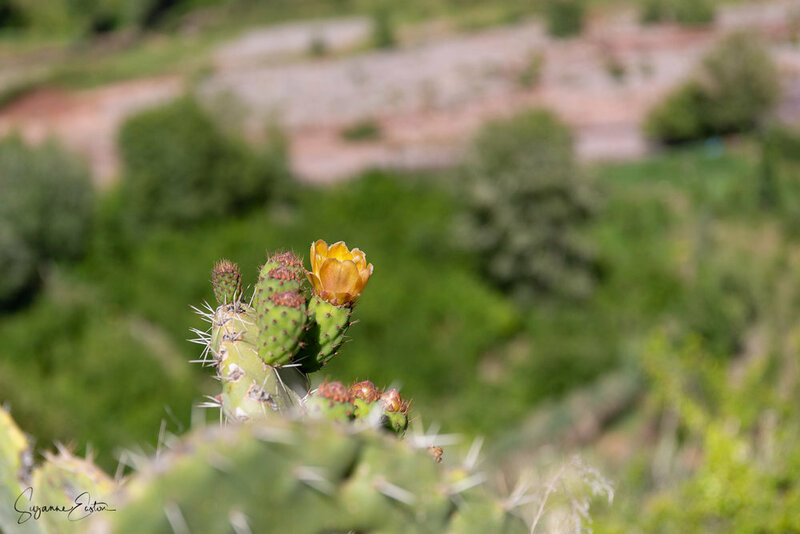 Prickly pears are a cactus that grows everywhere in Marrakech city and the surrounding countryside. Heading toward the Atlas Mountains there are what seems to be woodlands and field boundaries filled with these succulent plants. In the late summer the fruits turn a deep red and are a juicy treat, peeled on the spot by street sellers with a taste similar to watermelon. Big Ben or Elizabeth Tower - How Many Names can a Tower Have?